Spine-tingling tales of witches, monsters and ghouls are an essential part of this season – and there’s no reason for your little ones to miss out on the fun. While Harry Potter and The Worst Witch might be a bit too advanced, these picture books have plenty of hubble and bubble but without the toil and trouble for your babies, toddlers and preschoolers. 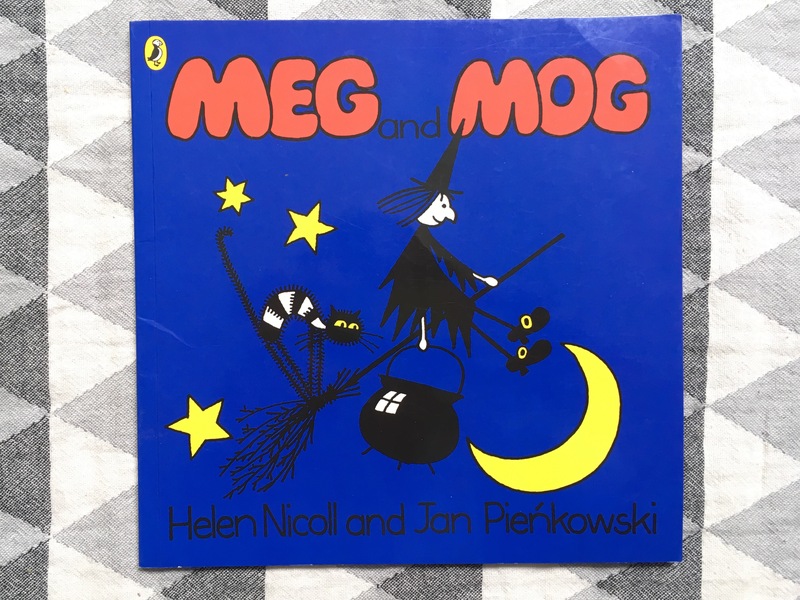 She’s been one of our favourite literary witches for more than 45 years but even after all that practice, poor Meg’s spells still go wrong. From this first story where she mistakenly turns her four pals into mice at a Halloween party, to new time-travelling tale Meg and the Romans, our pointy-hatted heroine is accompanied on her adventures by loyal cat Mog, their pal Owl and plenty of mayhem. Helen Nicoll’s fuss-free text, paired with Jan Pienkowski’s cartoon-style drawings in bold primary colours, give these books a pleasing simplicity perfect for babies and upwards. 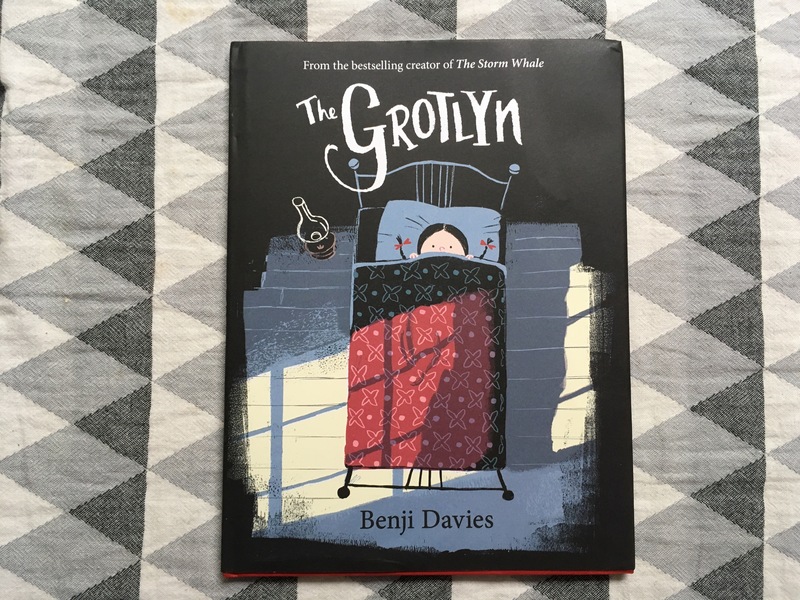 The unknown is often more frightening than reality is the moral of this atmospheric book by award-winning Benji Davies. Beautiful illustrated in a Victoriana style and completely written in rhyme, you can practically see the mists of mystery swirling over the pages as Rubi and Sam ponder what the thing that goes bump in the night could be. And why exactly is it still Policeman Vickers’ knickers? This suspenseful story will have your child on the edge of their seat – and thrilled by the charming twist when all is finally revealed. When a kind-hearted witch returns a favour to the animals that have helped her during a storm, her trusty broom ends up rather cramped and snaps in two. 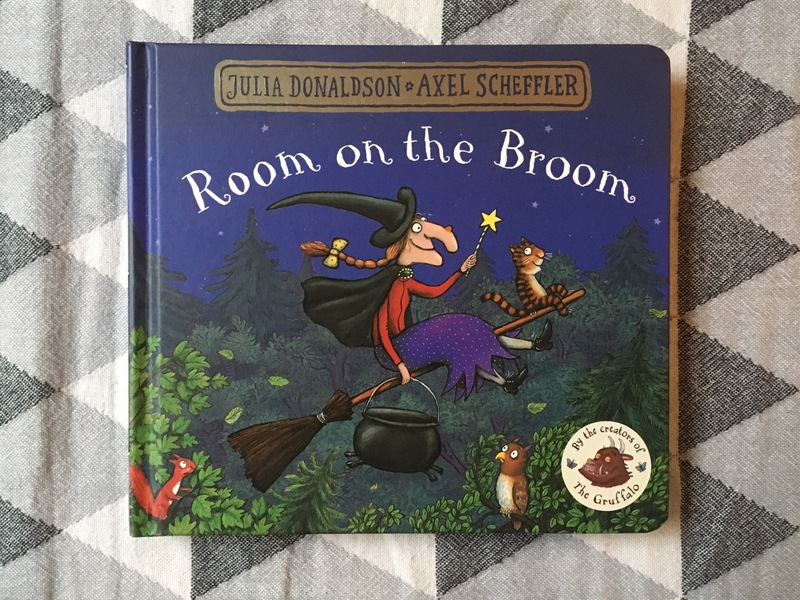 This modern classic from the magical pairing of Donaldson and Scheffler has catchy rhyming text that children will love to chant along with, while a sound book version is available for younger readers. Which of her famous characters is Julia Donaldson’s favourite? It’s the classic Halloween dilemma. You want to hear a scary story but not TOO scary, okay? Little Monster goes one further. He wants to star in one but as the narrator attempts to place him in different spooky scenarios, the poor purple creature is petrified. 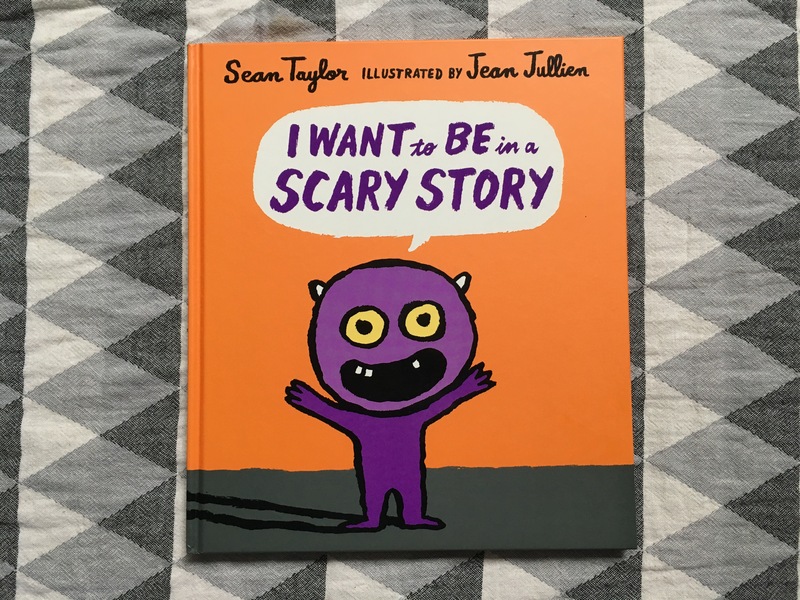 With its witty dialogue between reader and character, this playful book is a perfect Halloween tale for children of a more nervous disposition. We love the in-your-face artwork by hot French graphic designer Jean Jullien, too. 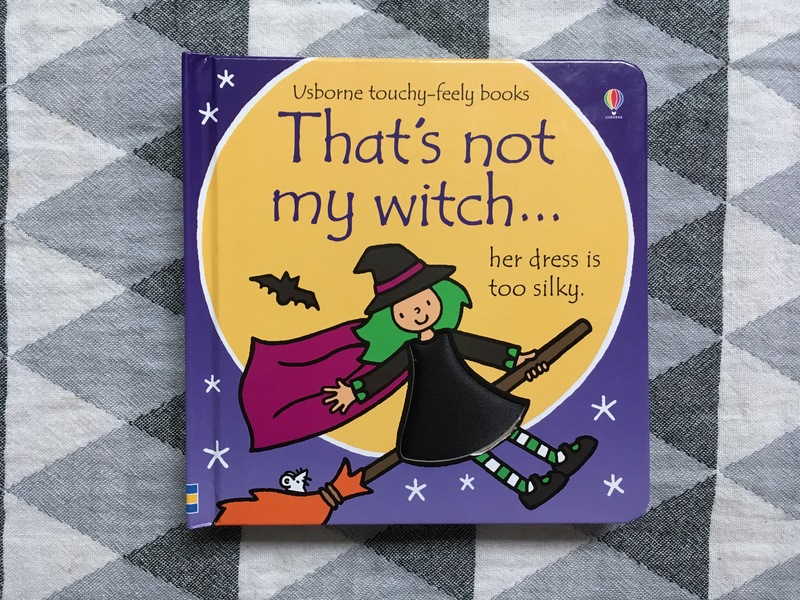 Every family will have one of these much-loved textured baby books and this magic new installment is destined to be a favourite, with its friendly cast of witches with silky dresses, fluffy cats and sparkly wands. Hugo has a hankering for something to eat – but it’s not what you’d imagine. He’s sick to his pointy fangs of red meat and craves a fresh and healthy meal that will fill him with energy for his nighttime escapades. This rhyming tale about a vampire-turned-veggie is wonderfully light-hearted and humorous, with boldly coloured illustrations and a lead protagonist that puts us in mind of Count von Count from Sesame Street. A perfect story for encouraging greens-avoiding children to give peas a chance, too. Witch has a hot date with Troll but as she heads off to meet him for a picnic, the woodland creatures put doubts in her mind. How could anyone possible love her potato-shaped nose, pointy chin and crooked back? She uses her magic powers to make her body ‘perfect’ but alas, the results do not have the desired effect of wooing her man. Brilliantly combining a positive feminist message about being true to yourself with a wicked twist at the end, this visually arresting new book by Columbian author-illustrator Canizales will have you cackling with laughter. This frightfully funny story about three skeletons and their japes after dark is a real classic and brings back all sorts of memories for me of the animated version back in the early 1990s. Janet’s illustrations feel more cartoonish than their other books, probably due to the block colours, and the layout itself has a cartoon strip feel, with boxes and speech bubbles. We love the scene where they put their dog’s bones back together the wrong way and also singing ‘Dem Bones’.